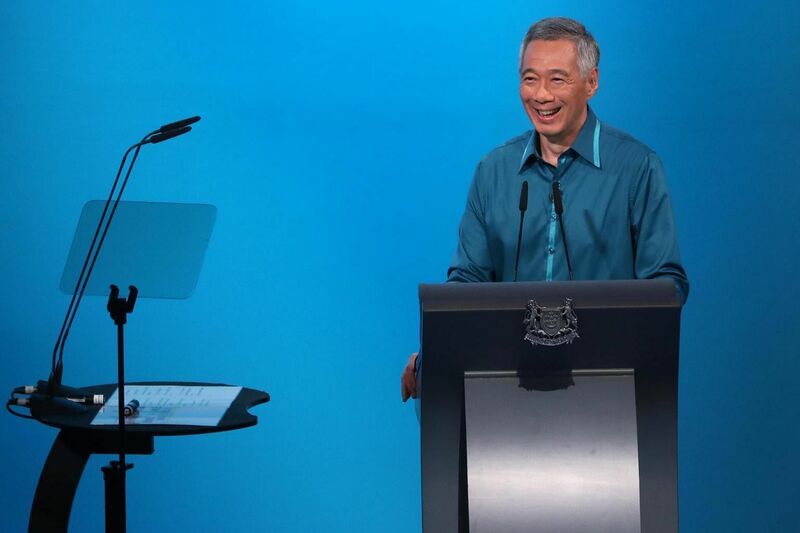 SINGAPORE - At this year's National Day Rally (Aug 19), Prime Minister Lee Hsien Loong spoke on a wide range of topics including cost of living, healthcare and housing. Apart from the key announcements, his speech in Malay, Mandarin and English lasting over two hours was also peppered with interesting anecdotes and light-hearted moments. 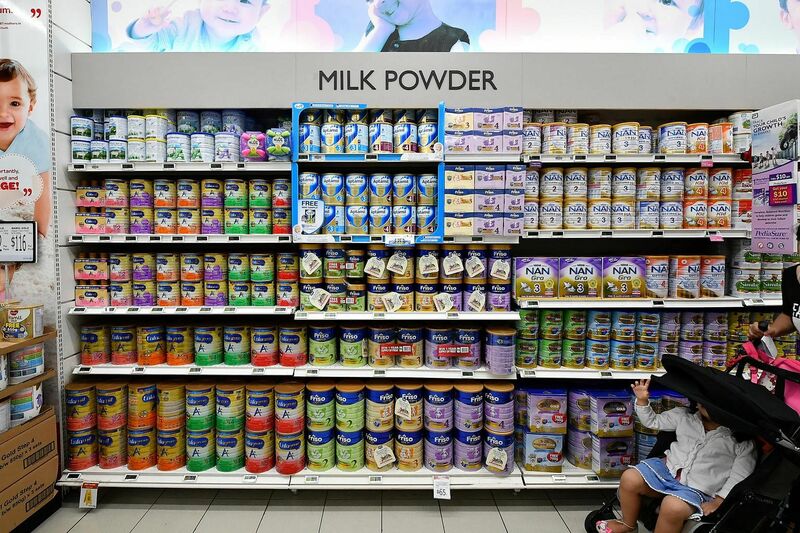 In his Mandarin address, PM Lee raised the issue of infant formula prices as an example of cost of living pressures faced by young Singaporean parents. "In the past, there were many advertisements showing babies or cute animals with mortar boards, as if drinking that particular brand will make the children smarter," he said, drawing laughter from the audience. "I am glad that there are fewer such advertisements now," he added. PM Lee noted that this might be because infant formula makers have received the message that the Government is determined to address this problem. Last year, the then Competition Commission of Singapore said in a report that aggressive marketing tactics such as sponsorships and payments to private hospitals by formula milk manufacturers were factors that propelled formula milk prices in Singapore to among the highest in the world. "When I was an infant, there were no such expensive brands of infant milk formula, yet my generation still grew up healthily. So I believe the next generation will not have a problem," PM Lee added. 2. DID YOU KNOW ELECTRICITY IS CHEAPER TODAY? 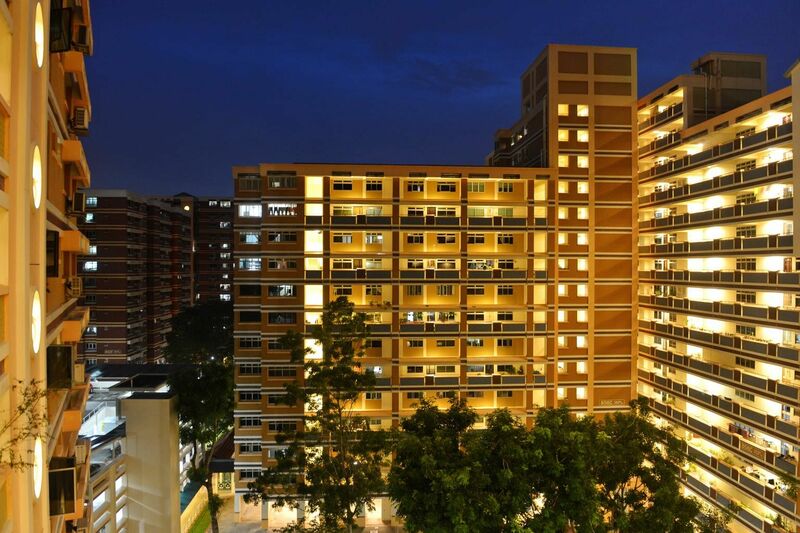 PM Lee called for a straw poll of the audience on Sunday night for this question: Do you think that today's electricity tariff has gone up or come down, compared to 10 years ago? During his Mandarin speech, PM Lee illustrated his point with graphs, showing the rise and fall of tariffs over the years. A decade ago, in the third quarter of 2008, the electricity tariff was 25.07 cents per kilowatt hour (kwh). Today it is lower, at 23.65 cents per kwh. PM Lee said, to laughter from the audience: "Unfortunately, we all remember vividly when the electricity tariff goes up, but when the tariff comes down, we forget quickly." 3. NASI LEMAK, OR SOTO AYAM? Just before announcing Singapore's decision to nominate its hawker culture to be inscribed on the Unesco's intangible cultural heritage list, PM Lee remarked on how Singaporeans of all races, religions, and income groups could eat at hawker centres together - and enjoy nasi lemak, char kway teow and roti prata. But he was quick to add: "But I hope that you also remember what we discussed at last year's National Day Rally, and as far as possible, choose healthier options like soto ayam, yong tau foo and thosai." 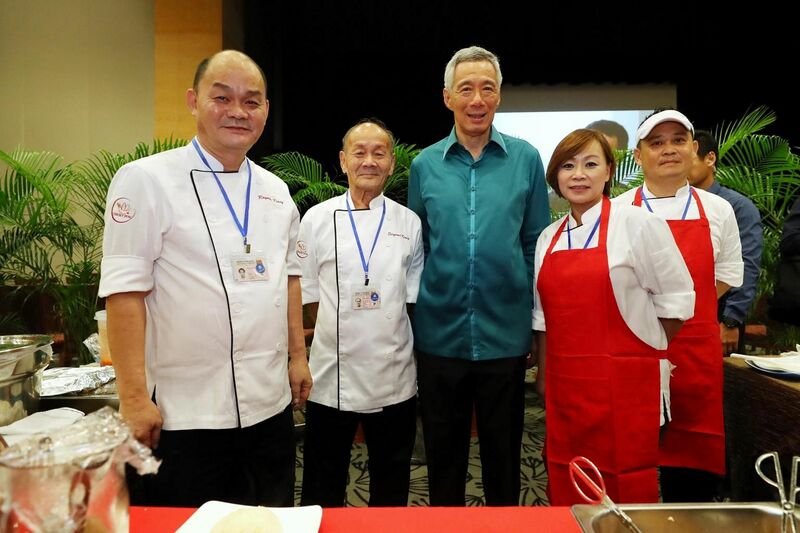 Last year, PM Lee appealed to Singaporeans to eat healthy and fight diabetes, and walked the talk by having a healthy dinner of olive rice, seafood hor fun and chye sim at the Rally. This year, he said that those attending the Rally will get to enjoy "affordable and tasty" chicken rice from a stall at Our Tampines Hub, and eight other hawker stalls from around the island. Mr Raymond Kiang, 57, who runs the stall, said that things cannot be too expensive in a hawker centre, or people will not be able to afford them. "There are boneless chicken rice stalls all over Singapore. We may earn less, but we give everyone a chance to taste an authentic Hainanese chicken rice," he said. His father was among the pioneer batch of chefs who developed the famous Chatterbox Chicken Rice at Mandarin Hotel in Orchard Road in 1971. 4. REMEMBER WHEN YOUR HOME HAD A LANDLINE? In his Mandarin speech, PM Lee also discussed how telecommunications has changed over the years. PM Lee said that in the 1990s, most Singaporeans families only had one landline, with everyone in the family taking turns to use the phone. The phone bill then was about $8 a month, or $100 a year. 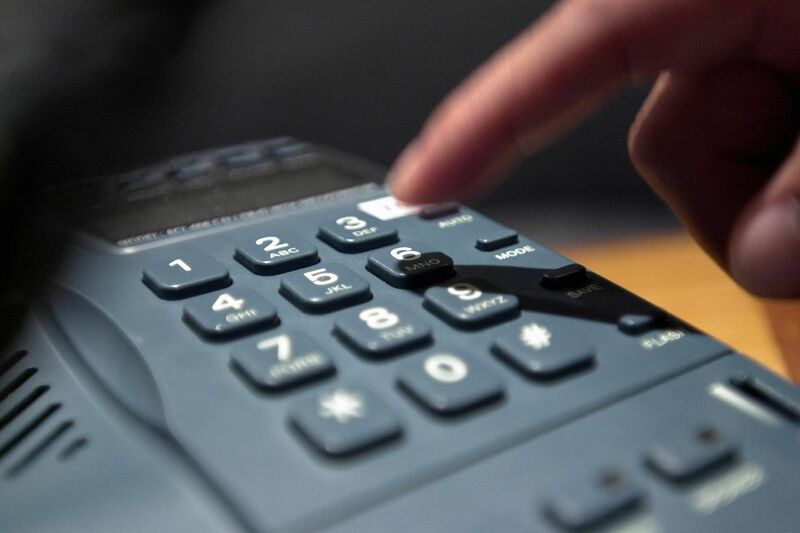 Now, mobile phone bills can go up to hundreds of dollars, and most households no longer have landlines. "Every family member - young and old, grandparents and even young children - now has a handphone," PM Lee said. "Handphones have become a necessity in our daily lives. Without them, we can't surf the Internet, receive information, or contact our friends. We feel cut off from the world. Our lives become 'unbearable'." PM Lee's shirt choices for the Rally have varied over the years, with past years seeing various shades of red, blue, and even purple. The 66-year-old this year opted for a return to teal, a colour he last wore in 2014. In 2012, PM Lee had worn a red shirt, and the following year a pink shirt, one of his more commonly worn hues. When Singapore celebrated its 50th year in 2015, PM Lee wore a red shirt. The next year, he wore a blue one. 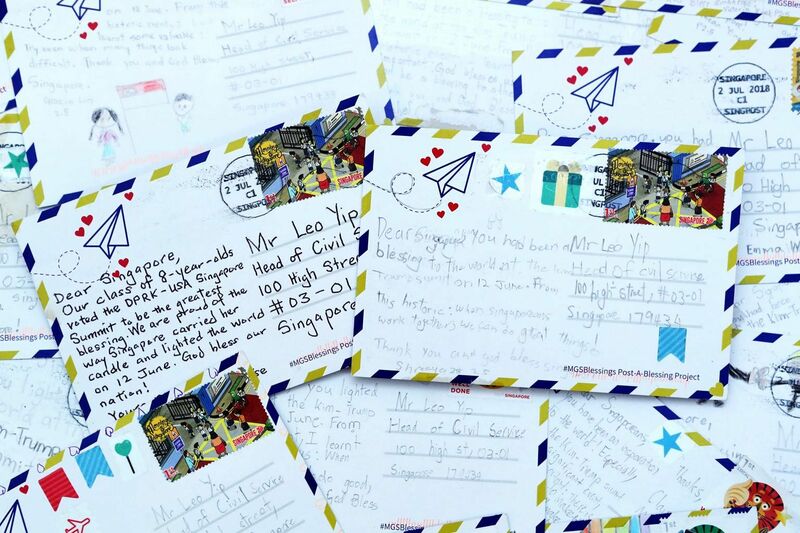 Early in his English speech, PM Lee said that a class of Primary 2pupils from Methodist Girls' Primary School had written postcards to thank Singapore for having "lighted the world" by successfully hosting the summit between US President Donald Trump and North Korean leader Kim Jong Un in June. They also wrote that "when Singaporeans work together, we can do great things", PM Lee said. "I'm heartened that even our eight-year-olds followed the news and knew what we were doing," PM Lee said. A photo shared by the Prime Minister's Office show postcards starting with "Dear Singapore..." addressed to Mr Leo Yip, head of the Civil Service, posted in July this year. One postcard said: "We are proud of the way Singapore carried her candle and lighted the world on 12 June." PM Lee ended the Rally, citing another one of the MGS girls' postcards: "Singapore may be a small country but we have big hearts." "Let us live up to that ambition. Let us continue to stand tall, chase rainbows, and work together for many brighter tomorrows," he added.